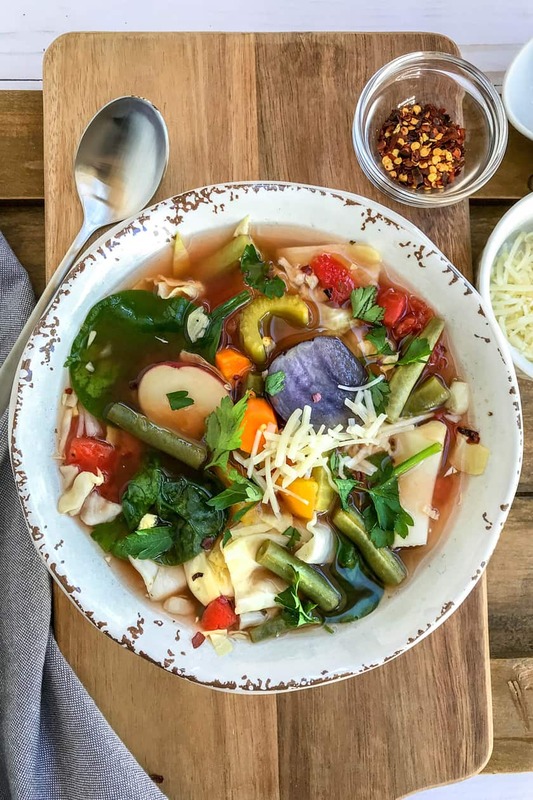 Slow Cooker Cabbage Soup is a healthy and vibrant soup, packed with vegetables like carrots, celery, green beans, peppers, and tiny new potatoes, all simmered in a fragrant broth. A warm and hearty soup to come home to. Cabbage Soup is a family favorite, an easy meal we love in every season throughout the year. It becomes super convenient and simple in the slow cooker. This soup is incredibly versatile. Which is one of my favorite parts of the soup, other than it’s incredibly delicious taste, of course! 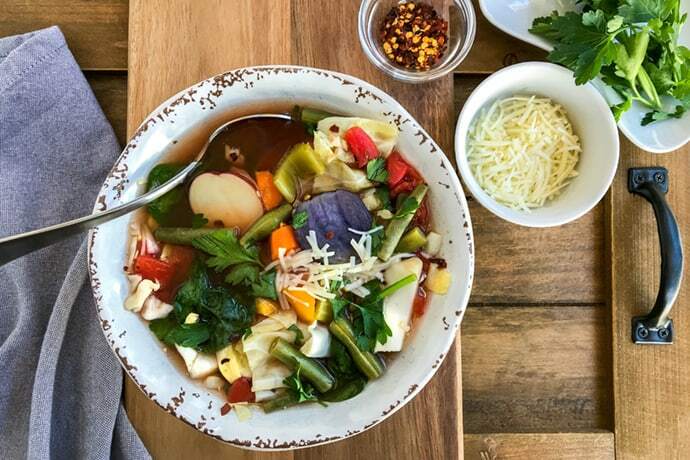 Since we make this soup all year long, I love to add a variety of vegetables as the seasons change. 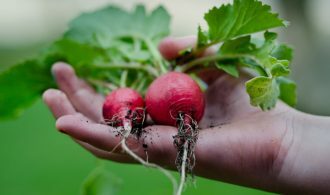 In the spring, I’m adding asparagus, in the summer, squash and zucchini and even fresh cherry tomatoes. The vegetables we’ve written into the recipe are the easiest to find all year long. But add or subtract according to your favorites! I most often use chicken broth in this recipe. I always have a plentiful supply in the pantry (thanks to frequent Costco trips) and homemade in the freezer. The recipe is written for 4 cups of broth, which is the amount of broth in a 32 oz carton. We add an additional 2 cups of water to equal 6 cups. You can add 6 cups of broth instead. Swap out the chicken broth for vegetable broth if you prefer. 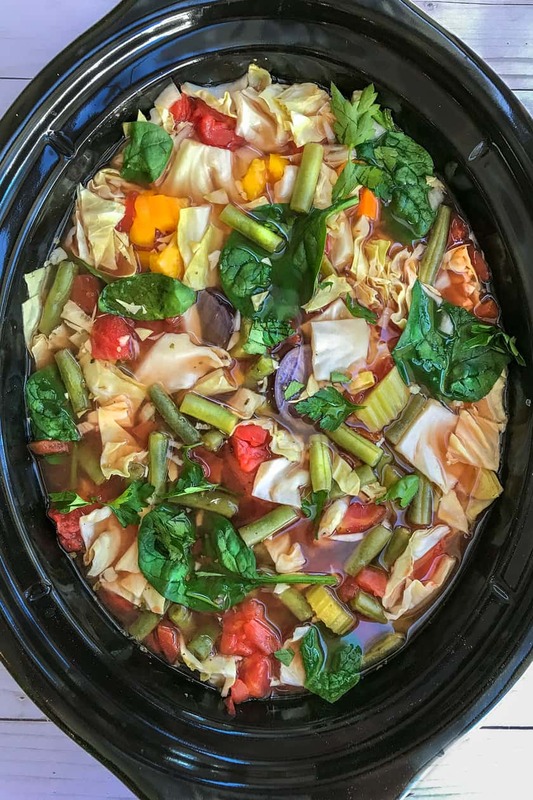 How Long Does Slow Cooker Cabbage Soup Take? Slow Cooker soups are a dream to come home to. 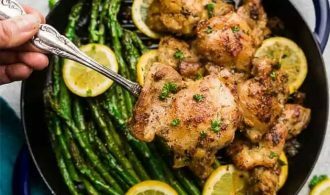 Warm and rich and healthy meals that fill you up. While this soup can be easily made on the stovetop in about 30 minutes, the slow cooker gives me time away from the kitchen. This soup will slow cook on high for 4 to 5 hours or on low for 7 to 8 hours. During the last 15 minutes of cooking, add the fresh spinach (or kale) and continue to cook until it’s wilted. 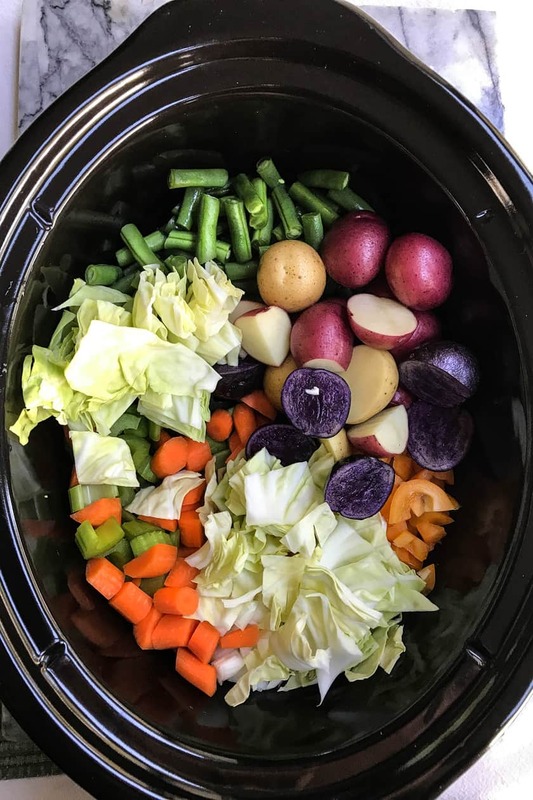 Combine all of the vegetables (except the spinach) into the base of a 6-quart slow cooker. Add the tomatoes, broth, water, Italian seasoning, salt and pepper to taste; stir to combine. During the last 15 minutes of cooking, add the spinach to the slow cooker, cover and continue to cook until it’s wilted. Garnish with fresh parsley, shredded Parmesan Cheese and red pepper flakes if desired. Ladle into bowls for serving. Refrigerate any leftovers for delicious snacks and lunches!